Sick of college football games lasting over 4 hours? Tired of financial greed and the almighty dollar dominating FBS? Then it’s time to jump down a level and check out a game in FCS, where there are some good teams and more importantly, a decent assortment of unique stadiums to visit. That is no more apparent than in the Ivy League, where historic teams play in often ancient facilities that retain charm, size and character. 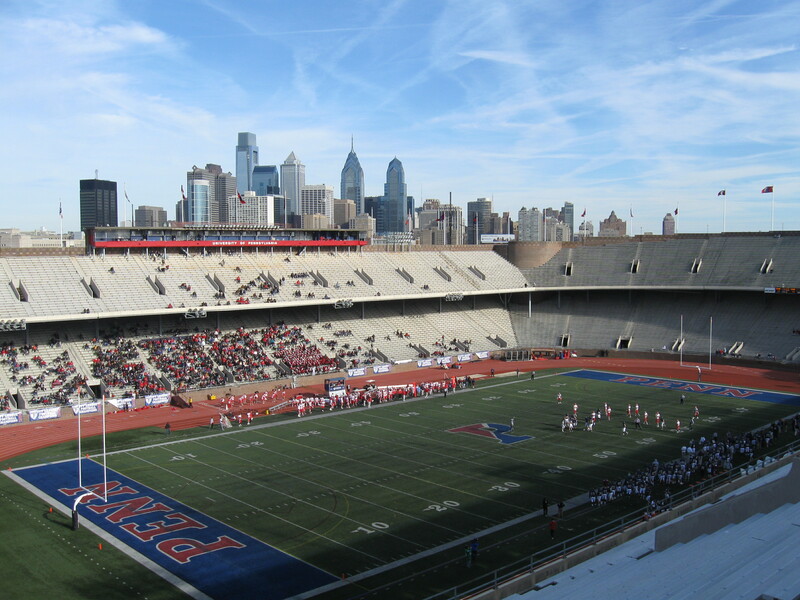 I’ve been to five out of the eight and it’s hard to pick one as this month’s Stadium of the Month, but when pressed, I have to go with Franklin Field in Philadelphia. As home of the Penn Quakers, this venue dates back well over a century and has plenty to like. 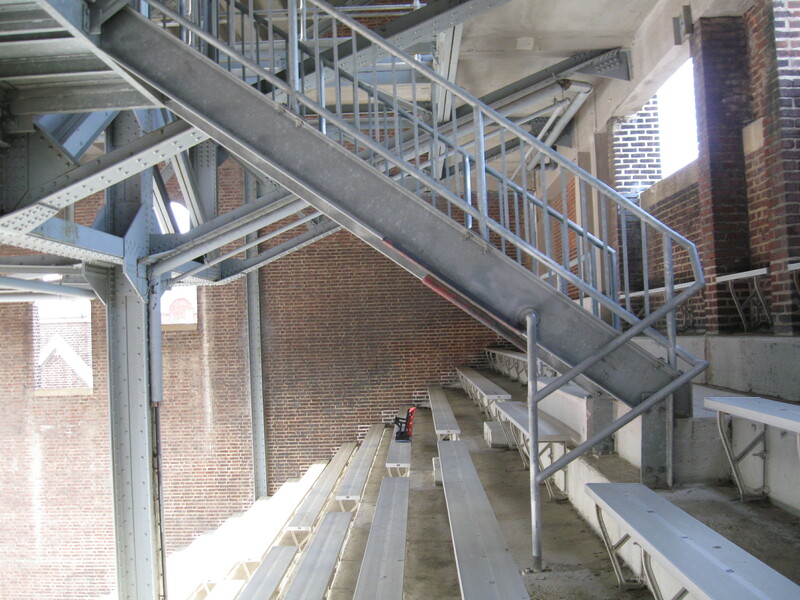 With an absence of luxury seating, the double-decker horseshoe stadium provides great sightlines and that is despite a track that surrounds the football field. This isn’t just any track as the famed Penn Relays are competed annually with huge crowds. A great backdrop of Philly’s skyline greets those in the South stands and the venue itself sits next to another place that makes jaws drop, The Palestra. Be sure to walk around Franklin Field as there is a good deal of historical murals and statues worth viewing and there are many quirks in this historic venue. My favorite are the unique seats formed at the back of the first-level seating as the design is nothing like what you would see today. While crowds aren’t exactly large for Quaker football, the fans that are there still hang on to tradition and the Toast Toss is a sight to behold before the start of the fourth quarter. Philadelphia has a ton of sporting options, but be sure not to look past this one and take some time on a Saturday afternoon to enjoy a refreshing day of football.